Indian weddings are famous for elaborate ceremonies, banquets and most importantly the food. Of all the preparations, catering forms the crucial one which needs to be given primary importance. Besides, India is a land of rich flavors and spices where people from different regions prefer eating different cuisines. An interesting menu can get the bride's family rave reviews and feedbacks from the guests. Also, there should be a variety of food items to choose from and that too in abundance. A lip smacking menu, tasty food and top-notch catering services can lead to a memorable and terrific wedding. On the contrary, a wedding with unprofessional caterers and bland food cannot leave a good impression on the guests. So, this calls for finding a perfect caterer for the wedding. Read this write-up to know the tips that can help you in finding the ideal caterer for your wedding. 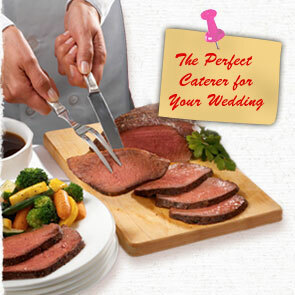 As soon as you get engaged, begin your hunt for a top-notch wedding caterer by asking your friends & relatives. Recommendations from bridal shops, recently married friends and relatives, photographers, etc. can prove advantageous. You can also check out local wedding chat boards. Here, you can find out the companies that you should strictly avoid for appointing. Bridal shows are another destination where you can find caterers, meet a lot of vendors at one place and even taste their sample menus. If someone has a special menu in mind, then they should definitely check the experience of the caterers for creating a particular dish, while interviewing. Make sure, the caterer that you hire knows everything about kitchen facilities. So, keep these points in mind to find the perfect caterer for your wedding day and do choose only the one who has all the qualities and abilities that you have been looking for in a caterer.